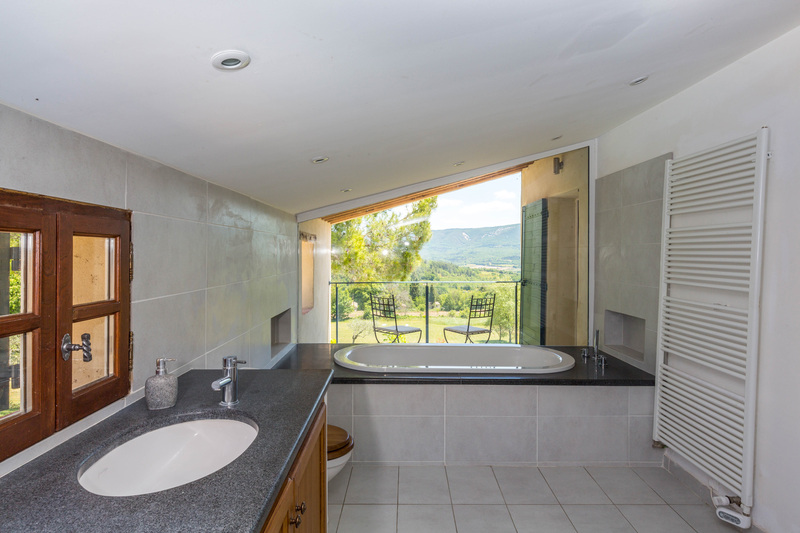 7 bedrooms/6 bathrooms: Sleeps 10 in 5 bedrooms of main house and 4-6 in 2 bedrooms of smaller house. 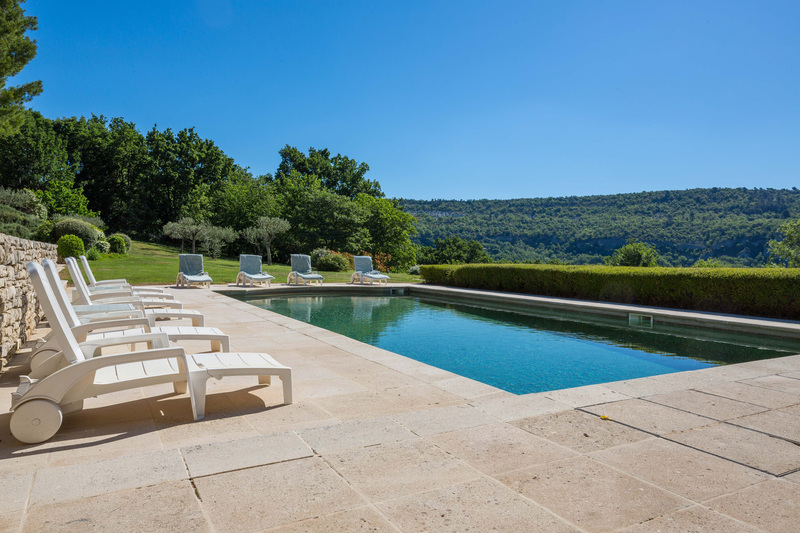 La Source is a luxury holiday rental villa in Provence, South France. 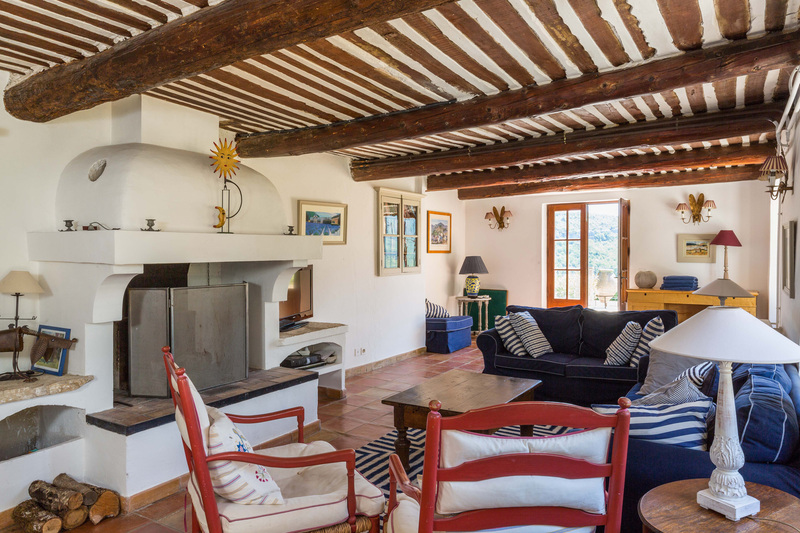 It is beautiful old converted stone farmhouse with heavenly uninterrupted views over the Luberon hills. 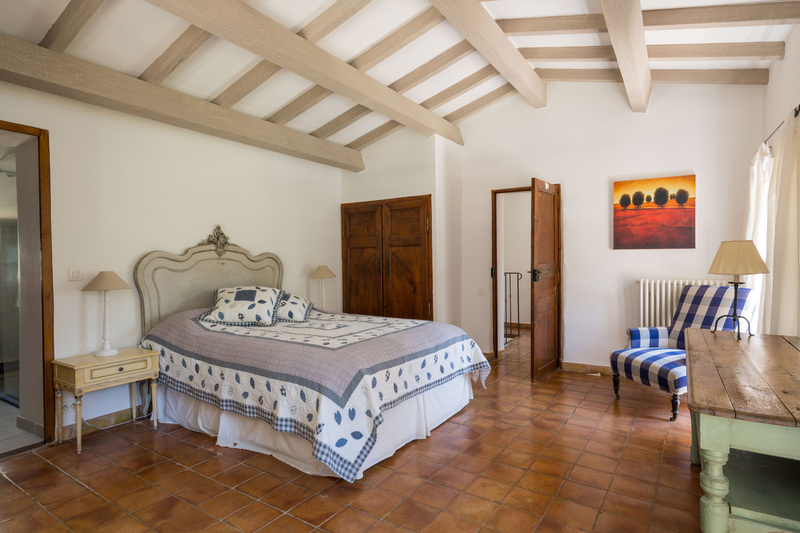 It sleeps 10+ in 5 bedrooms/5 bathrooms of the main house and 4-6 in the small house adjoining. 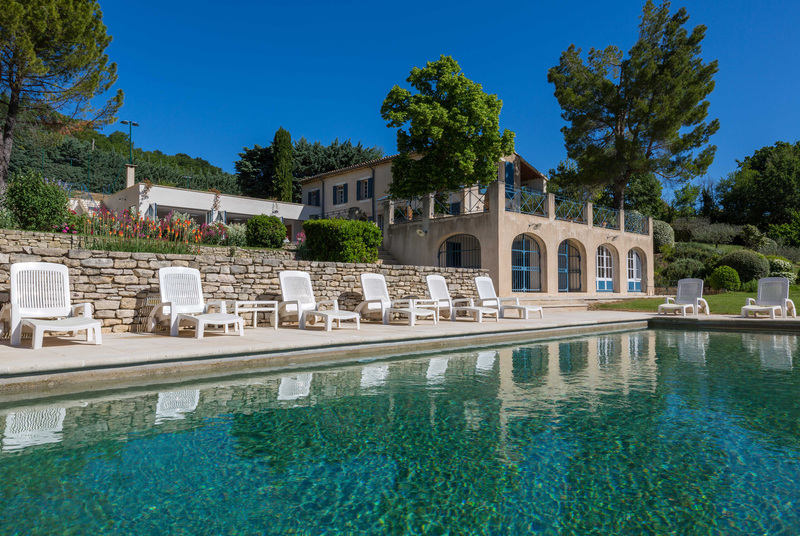 In its 4 acres of totally secluded grounds it has a stunning large heated swimming pool (12m x 8m), a tennis court and beautiful quiet lawned terraces with shady trees. 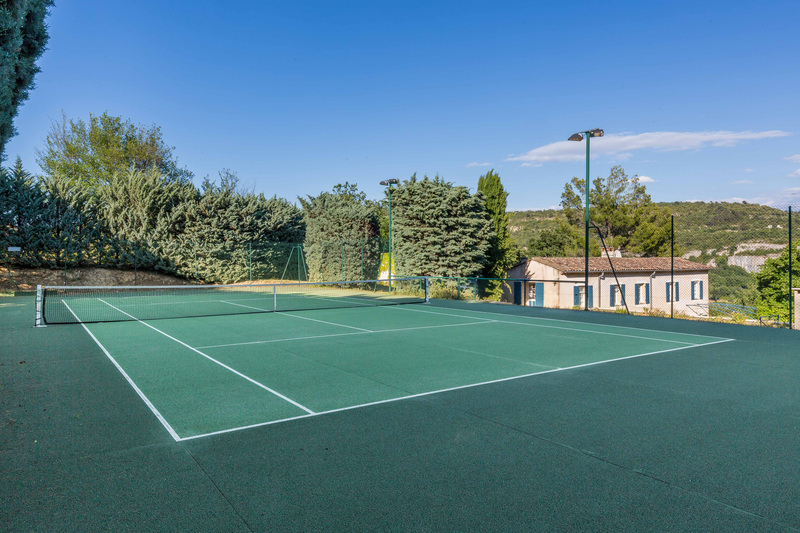 It has been completely renovated to a very high standard and is wonderfully furnished and equipped, with maid service and a wide variety of games such as table football, boules and table tennis. 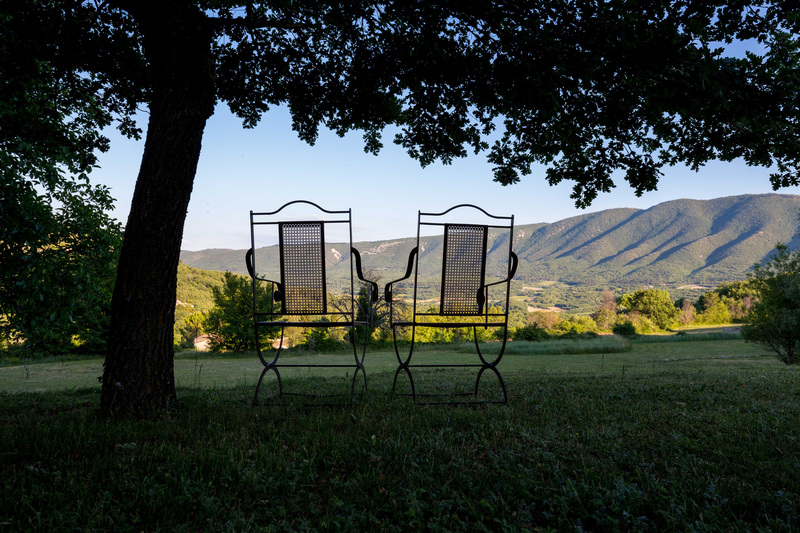 A huge terrace (used to be a restaurant terrace) has one of the best views in the Luberon and is a wonderful location for slow Provencal meals. 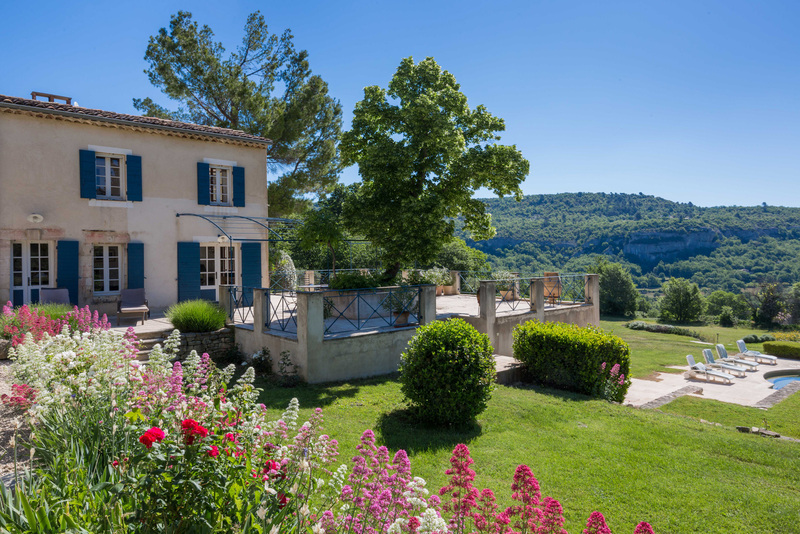 It is a perfect retreat for families to unwind, enjoy the house and its facilities and explore this exquisite part of Provence surrounded by lavender fields. 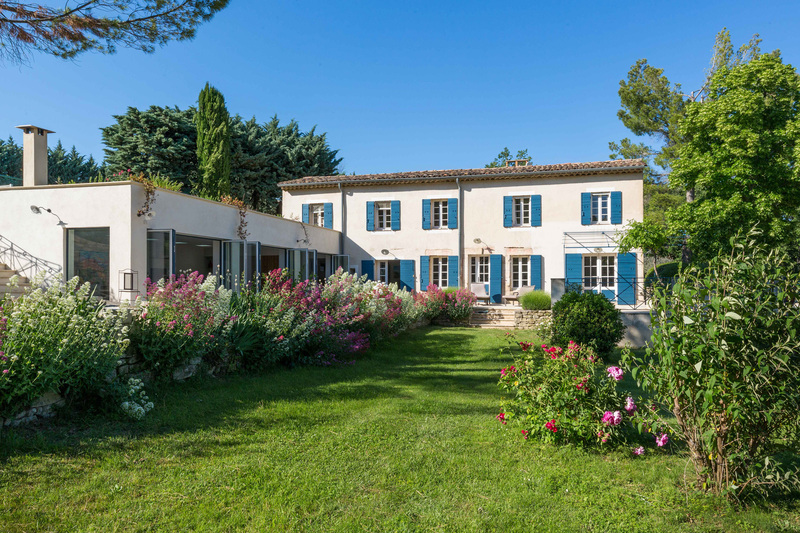 It is easy to reach: 75 mins from Marseilles airport (5 London flights per day); 40 mins from Avignon (TGV from Paris/Motorail) and 30 min from the main Autoroute. 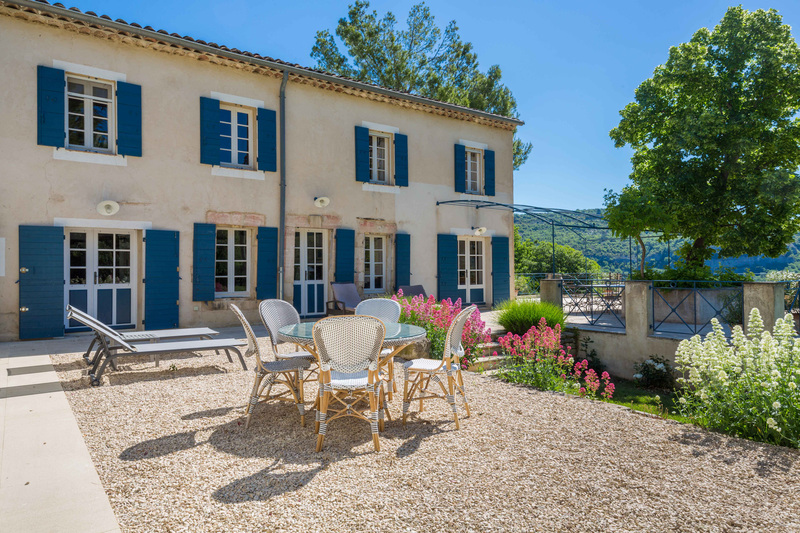 The village of St Martin de Castillon, with its bar, grocery store, restaurant and picturesque steep, narrow streets, is less than 10 mins walk from La Source. 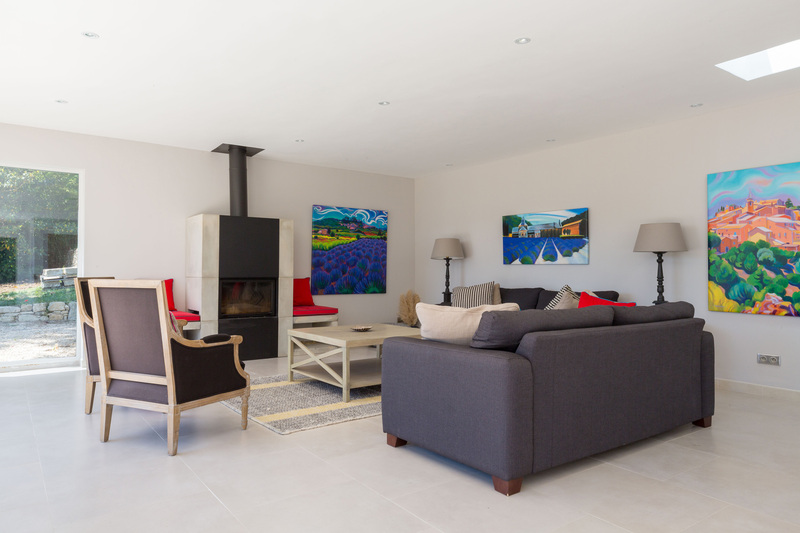 See video tour of La Source here. 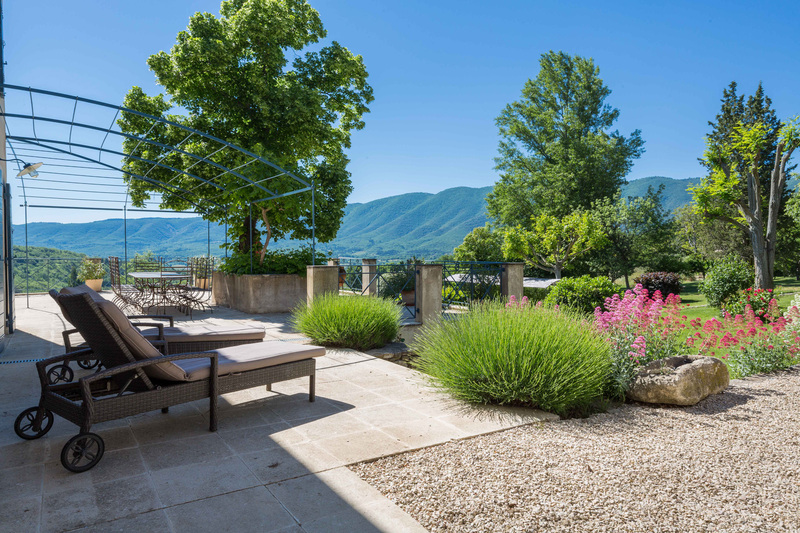 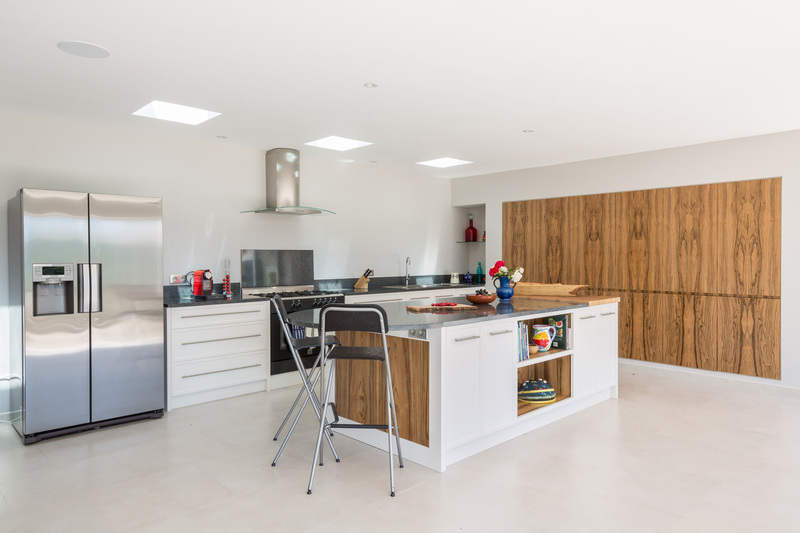 © Copyright 2019 La Source | Luxury rental villas .